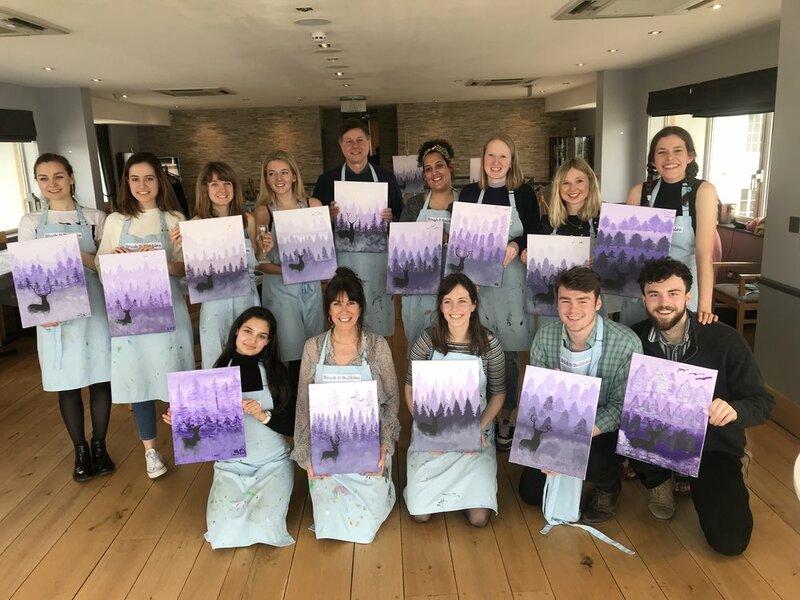 If you're looking for the perfect team bonding event for your office or team at work, then we can host your own Brush and Bubbles private event with a personalised painting and a fun-packed session to suit your group. Everyone will have their own art station with all their equipment (paints, paintbrushes, aprons, easel, canvas) and our artist will take the team through step by step instructions to create their own masterpiece! No artistic skill is required at all, it's a fun event that allows people to be creative and do something a bit different in a relaxed, positive environment! Simply sip and paint! We can create the perfect, bespoke party for you and your group, and can hold the event at one of our London venues, or even come and pop up at your office! If you would like to find out more or enquire about a specific date for your private event, then simply fill out the form below and we will be in touch with you to discuss more! Which city would you like the event?